LONDON — Josh de Winter is an engineering and finance undergraduate at University College in London. Like most of his friends, he has lived a relatively sheltered life — attendance at an Orthodox Jewish school (Hasmonean Boys’) encouraged by a warmly supportive family, and a full social circle within the comfortable “bubble” of north west London Jews. 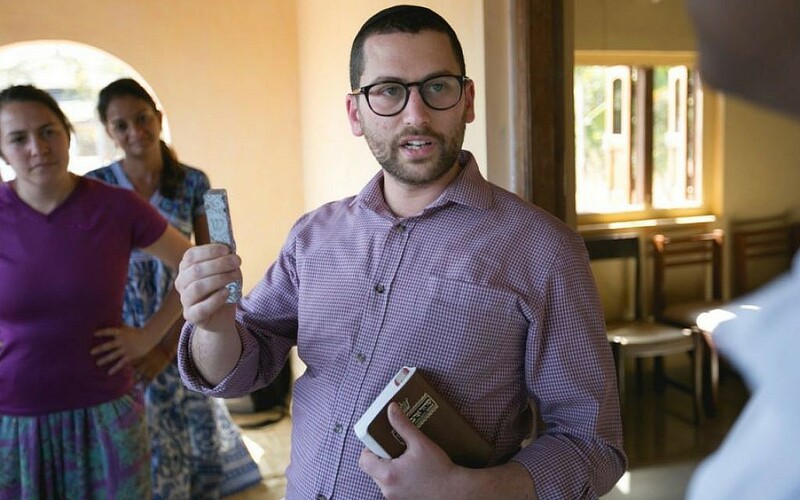 But at the end of December, Josh, together with 15 other young Jewish students, burst out of that bubble as the first cohort of a remarkable program launched by Britain’s Chief Rabbi, Ephraim Mirvis, called the Ben Azzai Program. Rabbinic sage Ben Azzai argued that “love thy neighbor” was not the most important verse in the Bible, as his contemporaries believed. Rather, those who care only for their neighbor have neglected their responsibility to the people they do not know and may never meet, but who are nevertheless, in need of support. 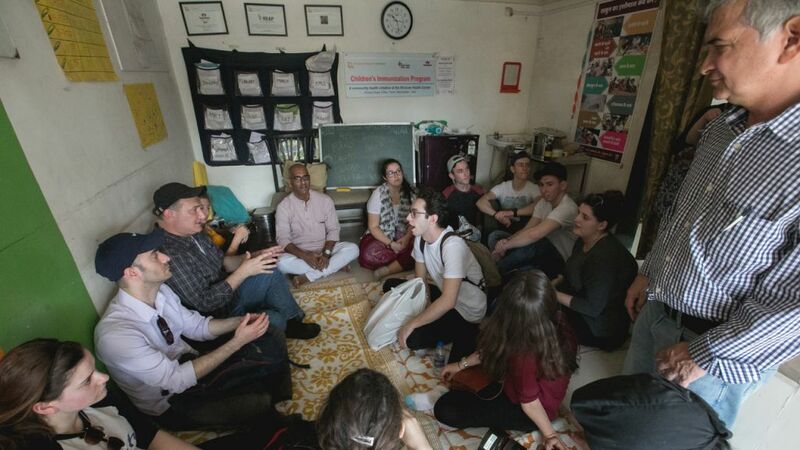 Inspired by Ben Azzai, the Chief Rabbi chose 16 young British Jews to go to Mumbai, India, for eight days. There, the youth could gain a better understanding of the extreme poverty that afflicts huge parts of that country and work together on ways in which they might respond to what they have seen. 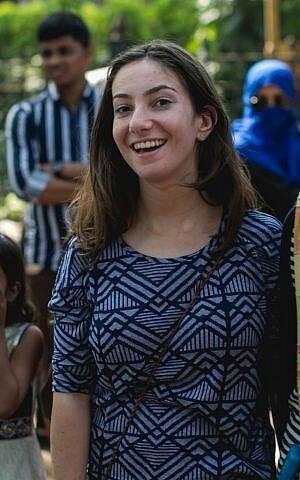 Unlike many of their peers, the Ben Azzai students did not go to India for some volunteering — something common among those who choose to take a “gap year” between school and university. Instead, they went as observant Jews who were fulfilling a religious obligation. Josh de Winter applied for the program after hearing about it at his synagogue. He’d already, as a third-year student at his university, taken part in projects related to changing and improving global health, primarily in the area of access to clean drinking water. “I didn’t have enough information to complete the projects, it was purely theoretical,” he said. He felt that going to India enabled him to get a different perspective. 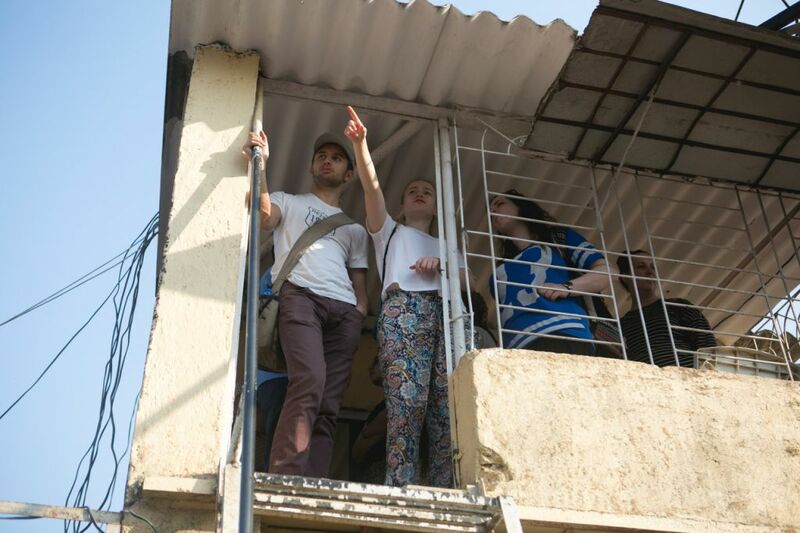 The students visited the Kalwa slums of Mumbai. Their visit was structured by the Jewish volunteer-based charity, the Gabriel Project, which works — together with the American Jewish Joint Distribution Committee, the JDC — with vulnerable and disadvantaged children and young people, mainly in the areas of education, health and nutrition. One of the Gabriel Project’s specialties is “empowerment projects,” particularly for young women in the slums. The Ben Azzai students visited one such project, a soap recycling initiative. As Josh de Winter observed, three women were taking scraps of soap from Mumbai’s big hotels, grating them down and compressing the recycled soap into bars to be given to children in schools. “We also saw women making school lunches, and a recycled paper business,” de Winter said. He said the visit was an extraordinary experience, and praised the Chief Rabbi for the initiative, which was financially supported by the Pears Foundation. Mikey Lebrett, a pharmacology student, freely admits to having lived in London’s Jewish “bubble” until the Ben Azzai trip. He is also a graduate of Hasmonean Boys’ school and spent two years at Yeshivat Kerem B’Yavne. 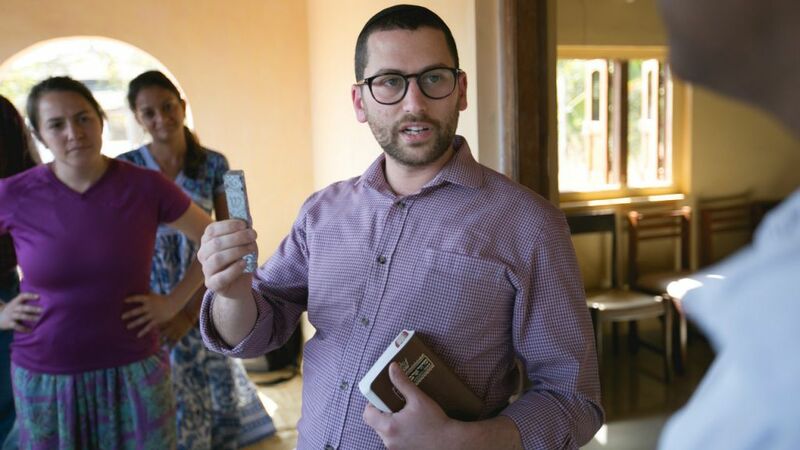 He is a youth leader with the Orthodox Ezra youth movement and volunteers with a number of Jewish community organizations. But Lebrett wanted “to take up the Chief Rabbi’s challenge” precisely because he believes he is “an archetype of that bubble” and, moreover, though he appreciates his Jewish education, he feels it has not led him to discover what lies outside the bubble. 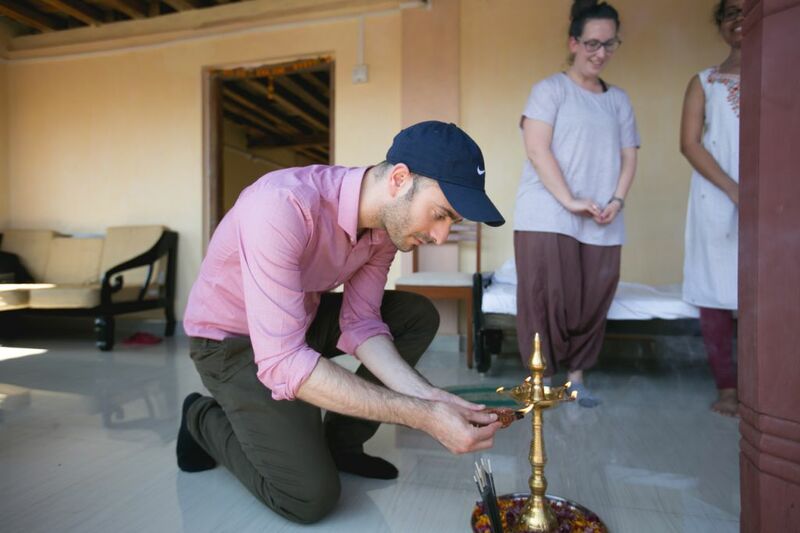 “I didn’t really know what to expect of India,” he says. “I’ve seen films, read the papers, but actually those things went a long way to desensitize us. I was expecting classic slums, but in fact I discovered the reality is much more complex. 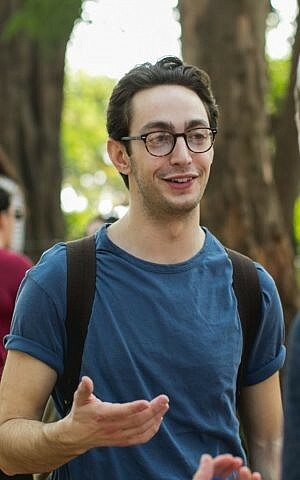 The Gabriel Project of Mumbai was founded in 2012 by Australian-born, Israel-based hi-tech entrepreneur Jacob Sztokman. 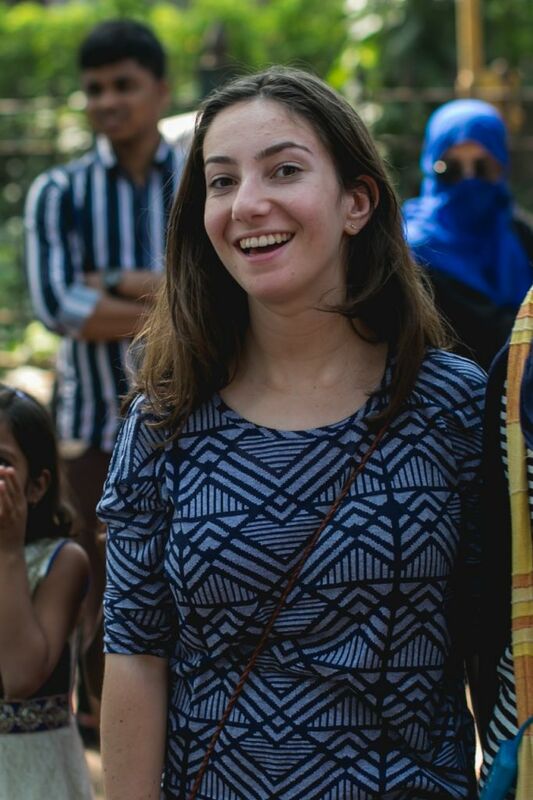 Shaw is passionate about Judaism, geography, and human rights — and for her the Ben Azzai trip was a coalescence of all three. All the Ben Azzai group have now pledged to become ambassadors for social responsibility and to pursue the edict of “Tikkun Olam” — healing the world. 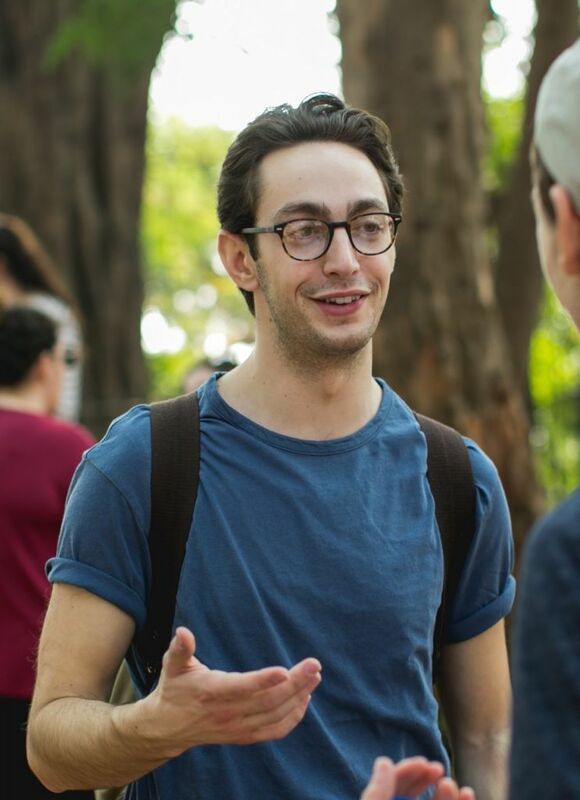 “I believe that Zara, Josh and Mikey, together with the rest of our first Ben Azzai cohort, represent the beginning of something extremely special,” Mirvis told The Times of Israel.